COLUMBUS — Lisbon’s Justin Sweeney had an outstanding senior basketball season that was almost over before it started. 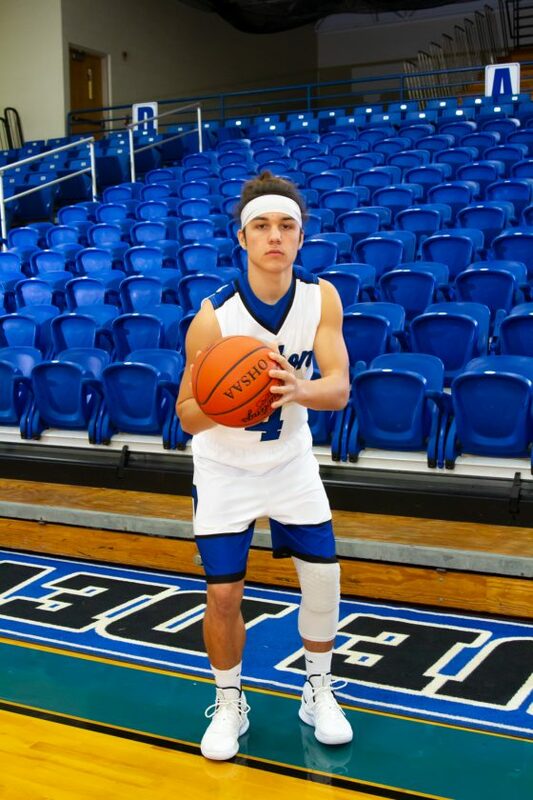 Sweeney returned to the court less than 12 weeks after having reconstructive knee surgery and was named to the 2018-19 Division IV All-Ohio high school boys basketball team released Tuesday by the Ohio Prep Sportswriters Association. Sweeney, the second-leading scorer in Columbiana County history with 1,581 career points, received first-team All-Ohio honors. Sweeney suffered a torn ACL during the second week of football season. No one gave him a change to return for basketball season — except himself. “There were days he would put five to six hours in,” Huckshold said. “He pushed it. He was going above and beyond probably what he should have been. Sweeney returned for the fourth game of the season against East Palestine and soon became Lisbon’s career scoring leader. This season he averaged 21.0 points and 8.2 rebounds a game, both team highs, to go with 3.2 assists and 2.2 steals in leading the Blue Devils to an 11-win season. “We’re not a basketball juggernaut in Columbiana County, but we’ve had some good players,” Huckshold said. As a freshman, Sweeney played in a veteran lineup that included Austin Rutecki, who was a first-team All-Ohioan that season. 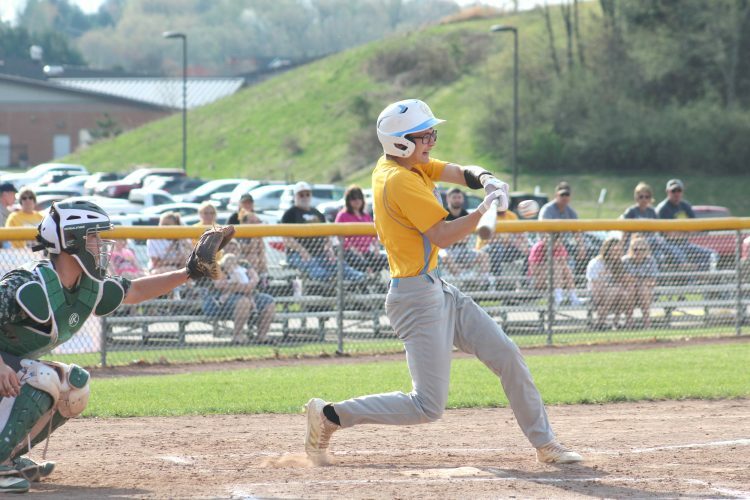 Sweeney is playing in three all-star games this week, the Columbiana County Classic in Lisbon next Tuesday and the prestigious North-South Game next month. Springfield and Sebring both had a pair of players on the All-Ohio team. Springfield junior Drew Clark and Sebring senior Gabe Lanzer received special mention, while Springfield senior Shane Eynon and Sebring senior Joey Clark received honorable mention. Clark and Eynon led Springfield to a 21-6 season, their first district title since 2012 and their first regional title game in 50 years. Lanzer averaged a team-high 17.6 points and 7.6 rebounds for the 13-11 Trojans. He shot 78 percent from the foul line. Clark averaged 16.7 points, 4.8 rebounds, 3.8 assists and 3.6 steals a game while shooting 77 percent from the foul line. He set school records for most three-pointers in a game (9), season (78) and career (153) and ranks 25th on the Trojans’ all-time scoring list with 730 career points. The only area Division III honoree is South Range junior Chris Brooks, who received honorable mention. The Raiders went 17-7 as Brooks was the leading scorer (16.7) and rebounder (9.0). Toronto, which ran away with its second straight Eastern Ohio Athletic Conference title, had two All-Ohioans — senior Nathan Karaffa on the third team and senior Trillion West as honorable mention. The fourth-ranked Red Knights went 21-3 on the season. See page B2 for the complete Division III and IV All-Ohio teams. The Division I and II All-Ohio teams will be announced today.